Reykjavik’s Christmas tree has been declared a write-off after the severe weather of the last few days. The traditional tree – a gift from the city of Oslo, Norway – was the centrepiece of a festive switch-on ceremony in central Reykjavik just a couple of weekends ago. 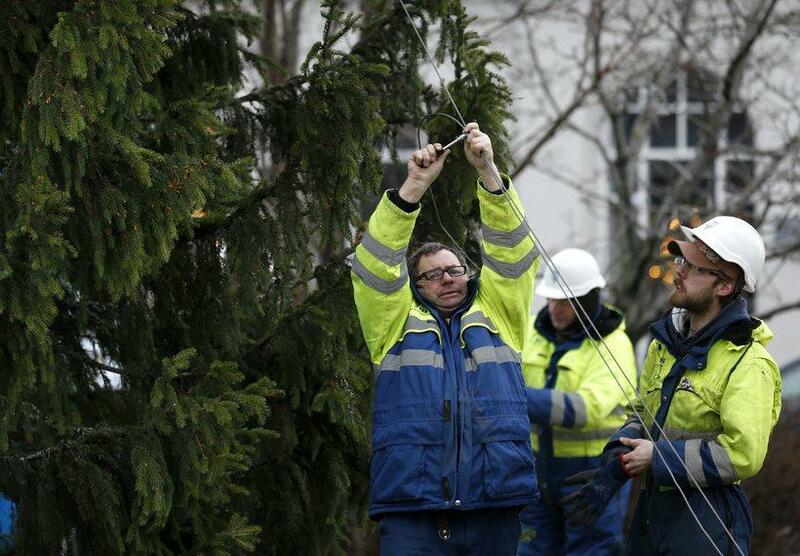 But the passing of Storm Diddú took its toll on the tree and Mayor of Reykjavik Dagur B. Eggertsson tweeted this morning that it was no longer fit for use. The tree was taken down just before the storm hit the capital on Monday, but temperamental weather recently has meant that the tree could not take the strain. A new tree will be brought from the Reykjavik conservation area of Heiðmörk.